There's something extra cozy about spending winter evenings surrounded by soft, ambient lighting, a good book and a warm beverage. 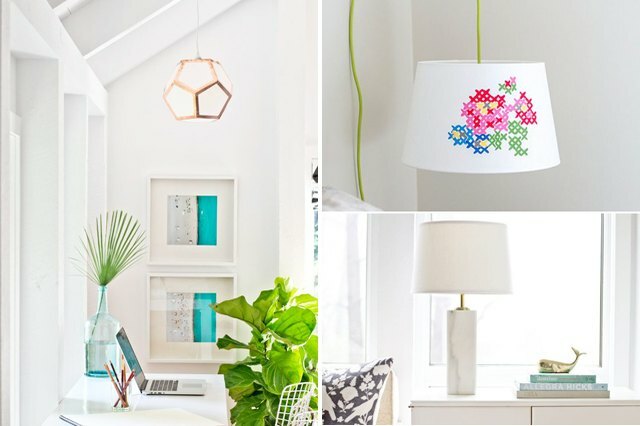 If you're looking to up the magical moodiness of your home, try creating one of these bright DIY ideas. And don't worry about safely swapping out an uninspiring light for one of these new versions. Just follow these easy instructions and you'll be surrounded by homemade, lovely light in no time. 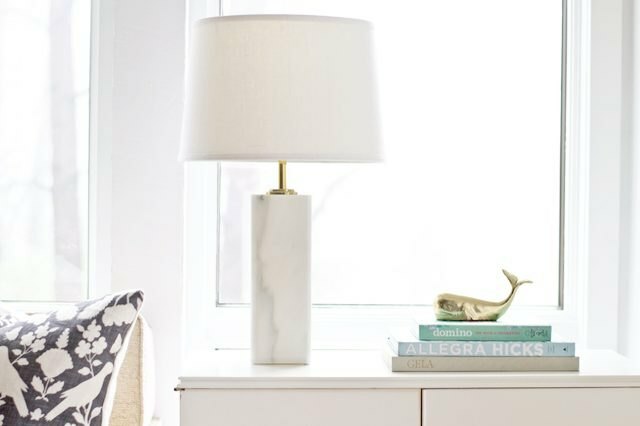 If you love the trendy, high-end look of marble, you need to try this inexpensive table lamp idea. 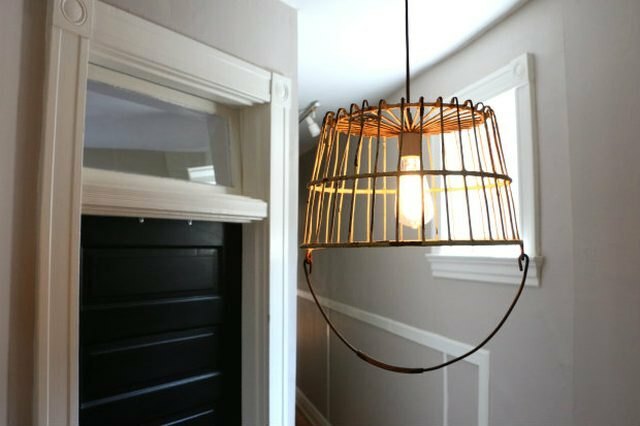 Though this DIY project only takes a few hours to complete, it has the look of an Etsy-esque level of craftsmanship. The living room isn't the only place to mix up the mood. 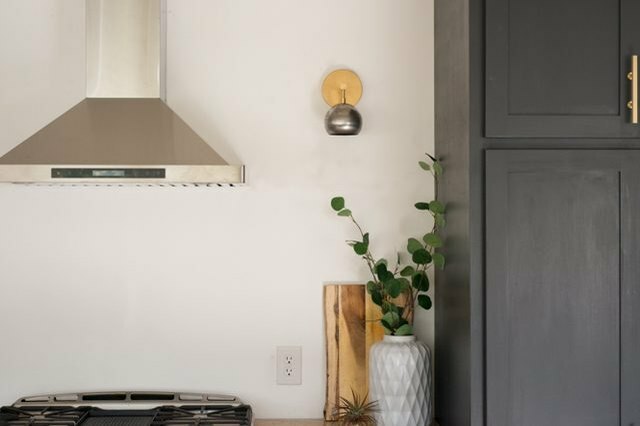 Hang up these wall sconces to show the softer side of your kitchen. Not exactly sure what dodecahedron means? 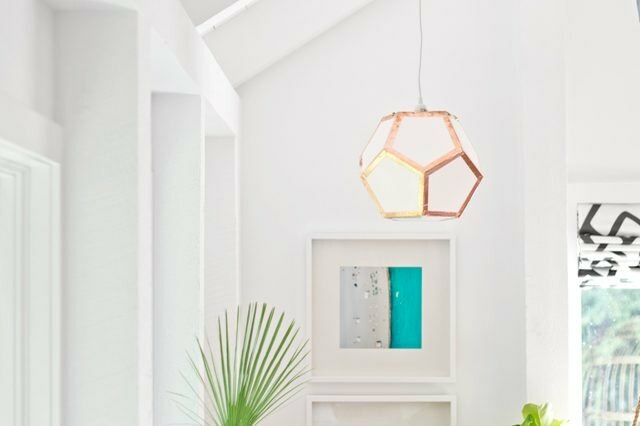 Essentially, it describe the shape of this piece that combines copper elements with a geometric shape to create one eye-catching pendant light. What's not to love? Cookies in jars is dated, but that doesn't mean you have to get rid of those beloved storage units. 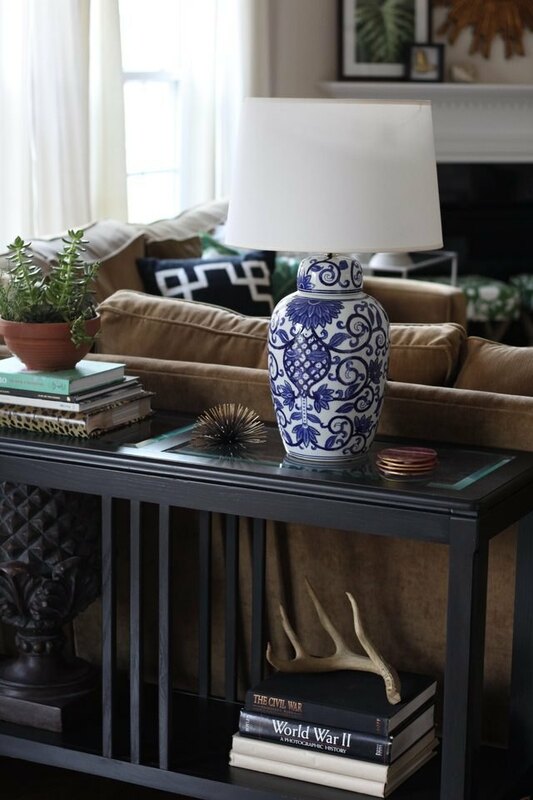 Bring a bohemian element into your space by turning a boldly-patterned ginger jar into a statement piece for one of your side tables. 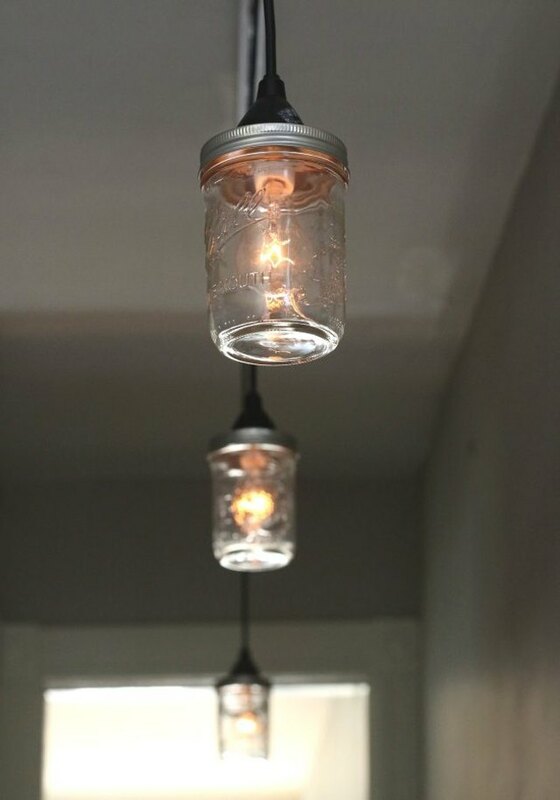 If you love industrial modern elements, try turning a few mason jars into light fixtures. These DIY instructions include creating an updated tracking system, so be prepared to set aside a few hours to carefully assemble this entire feature. Another industrial modern idea? These built-in pipe sconces. Of course, they look expensive and unique, but they also add a perfect cozy element to any bedroom; there will be plenty of late night, curl-up-in-bed-with-tea reading sessions in your near future. 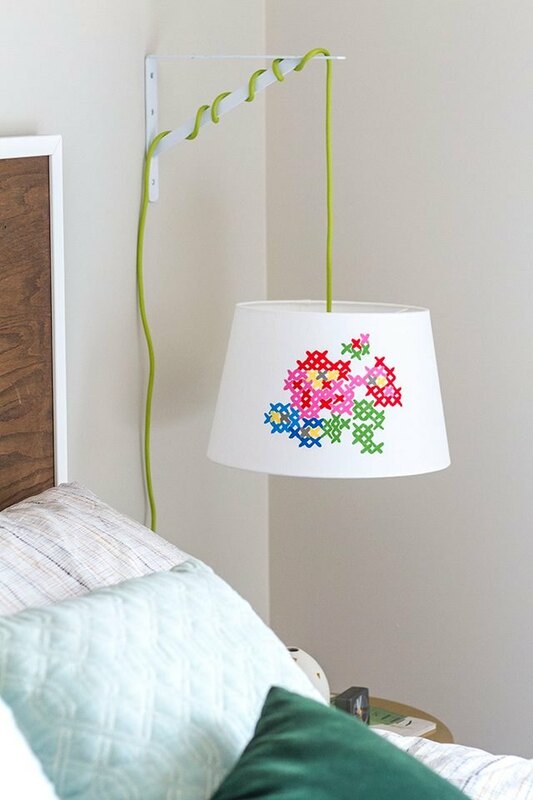 This bold, colorful and slightly kitschy lampshade is definitely not your grandma's lampshade. The best part? This DIY only takes about one hour of hands-on time to complete. 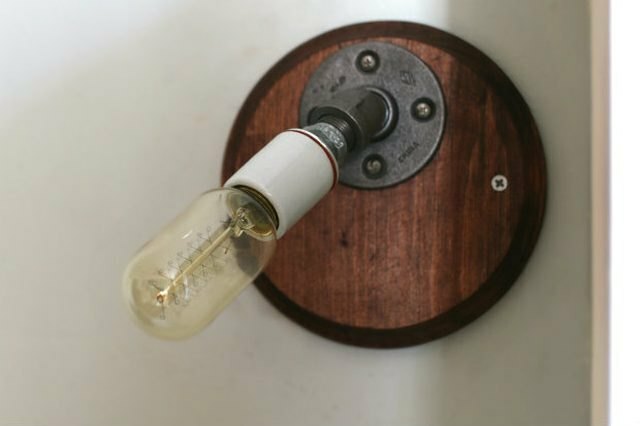 This DIY pendant light is a great way to take a special flea-market find and turn it into a main home fixture. Of course, this simple DIY can be adapted to any special antique basket you have foraged or found.